This adorable embroidered Jack O Lantern design, is an inspiration from one of our customers. 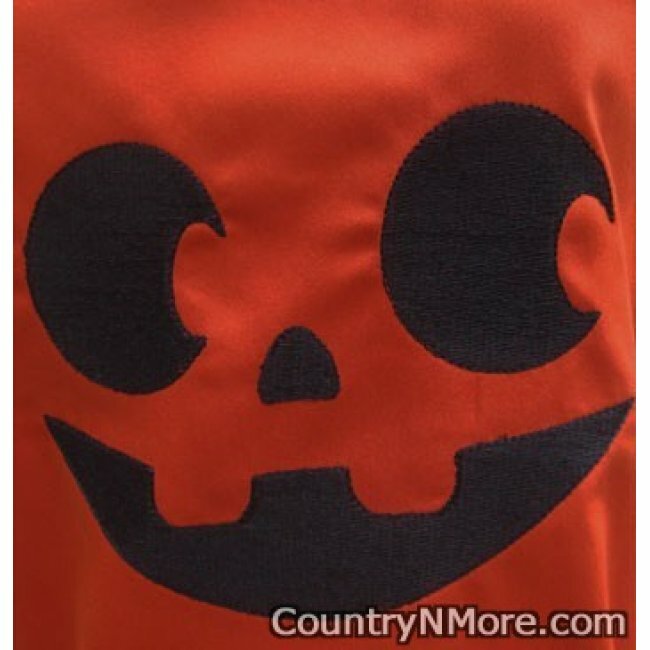 We embroidered the Jack O Lantern face on an high quality polyester/cotton fabric. 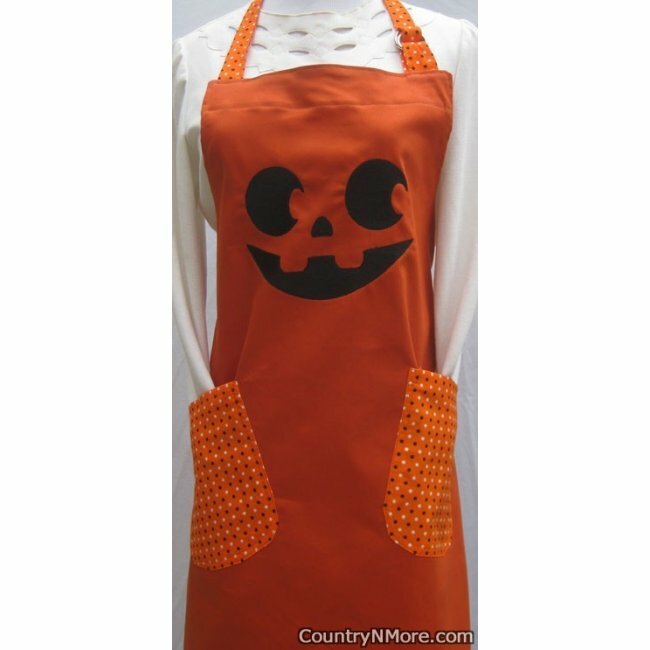 The Jack O Lantern looks so adorable on this apron, especially with the black and white polka dot pockets and straps. Made from high quality 65% polyester, 35% cotton fabric. Apron measures 29 inches long. (Measurement does not include the adjustable neck strap. 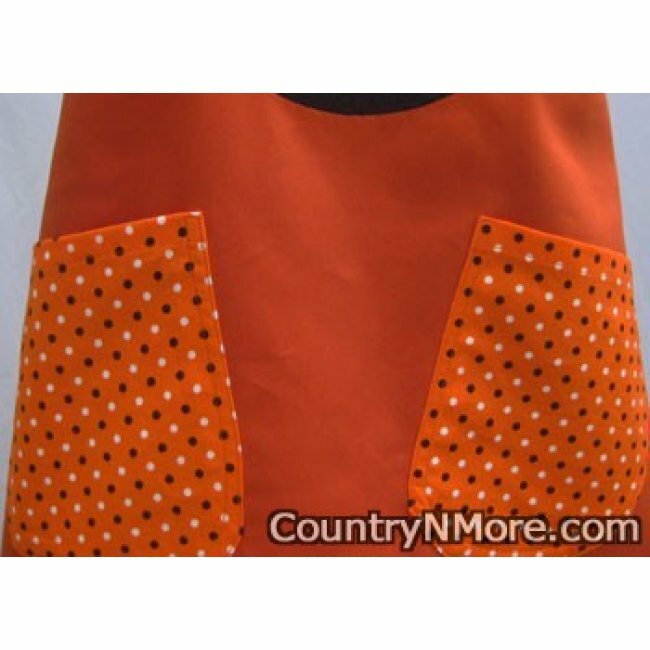 Apron has two large pockets. 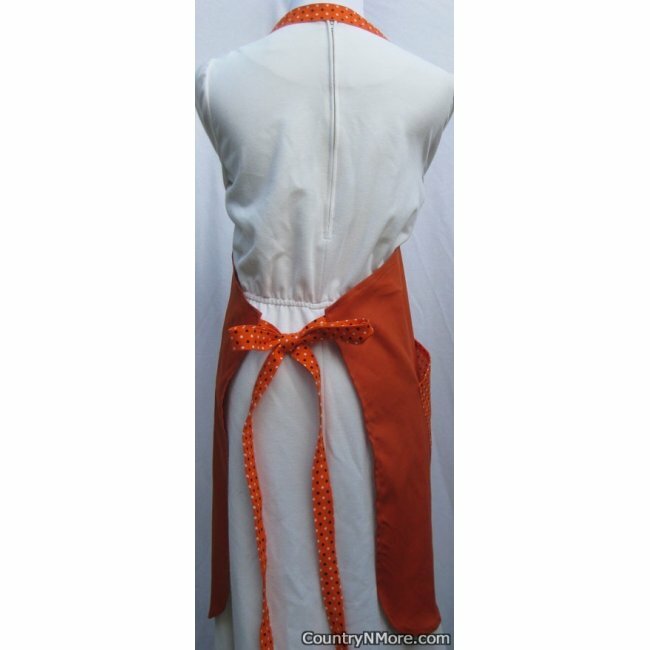 Apron has an adjustable neck strap, using d-rings.